An Android TV Box, also called as Kodi Box, OTT Box or streaming box, is a TV Box built for streaming purposes. It normally comes with many handy Android apps installed and the best media center: Kodi. With kodi you can access a World of streams, you can install some of the best Kodi addons and they will provide you all kind of streams, including movies / TV series, TV channels, etc. These android TV boxes are legal to sell and buy, they don’t contain Kodi addons installed, it’s up to you which addons you want to install. Also, these are top UK manufacturers, if you buy from them you will get continuous software updates, tech support and 1 year warranty. Content streaming has experienced a paradigm shift with more people now going for advanced gadgets. The conventional TV boxes are no longer sufficient as they tend to limit the user to offline content. The introduction of advanced software such as Kodi now makes it possible to access all sorts of media online and offline. Kodi it’s an open source media player developed by XBMC Foundation. It is available for multiple hardware platforms and operating systems. It serves the user with a 10 foot user interface with remote and television controls. This interface allows them to stream media, play games and even get files from local networks. There are a number of benefits that you can expect from using Kodi. The major benefit is the ability to support most common video, audio, weather forecast reporting, playlists, third party addons, audio visualization and image formats. This makes it very versatile. This is not to mention that it can be used with different types of hardware. The fact that kodi can work with most hardware makes it a favorite for many. Provided that you are using the right skins, you can use it on anything from the powerful MacBook Pro to the small Amazon TV stick. This explains why most users find it to be the best software for their laptops. The only challenge that you will face when using it on the laptop is that you have to disconnect it when you need to use the laptop for other purposes. This limits your usage and it is for this reason that you may need to consider getting a Kodi box / Android TV Box. A Kodi box is a specially designed streamer optimized to stream with Kodi. This means that you will have a box that sits under your television all the time. This means that you will have all-time streaming. There are numerous Kodi boxes / Android TV Boxes currently in sale. With this review, we will help you settle on the best Kodi Android TV boxes to buy 2018. This Android tv box was professionally designed to offer the ultimate home entertainment experience. 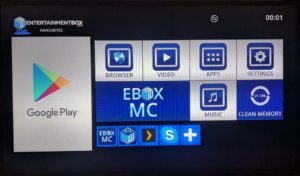 The performance of the Ebox T8 V was tested by me and full reviewed in this article. The results were very impressing, the box was always very fast responding to every action (opening and closing apps, using Kodi, streaming media, playing 4K movies, etc). Even closing Kodi was really fast (less than 1 second), it may sound ridiculous but the most of the boxes that I’ve tested take sometimes 30 seconds and in many of them kodi freezes when trying to close it. I believe that’s a software issue, but anyway, with T8 V that problem doesn’t exist. 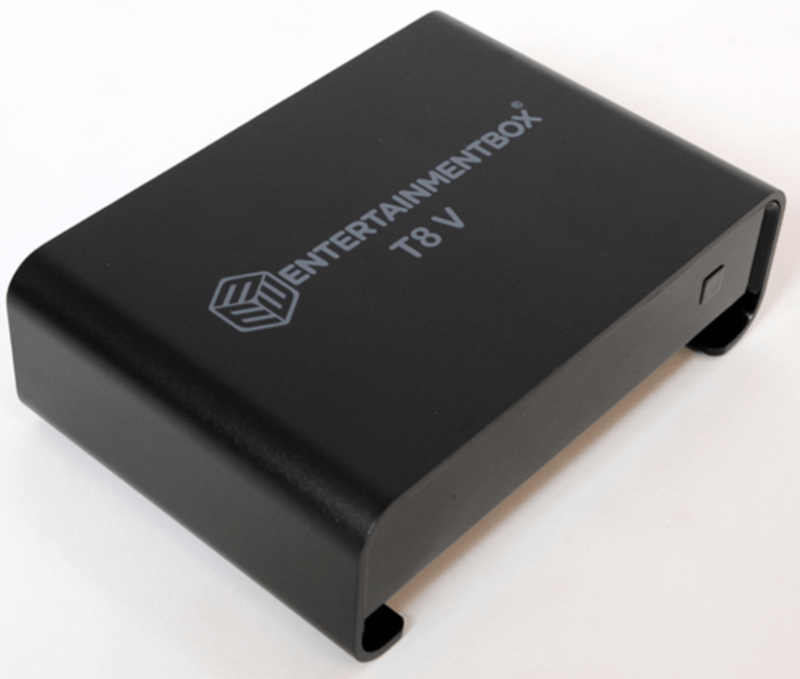 The Ebox T8 V Android TV Box is only available to buy in the EntertainmentBox website. They deliver from UK and US to any country in the world and the payments can be made through the safest payment method: Paypal. 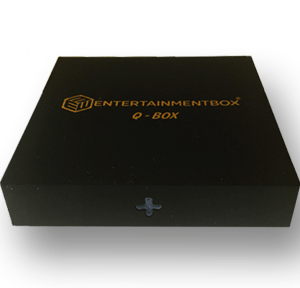 EntertainmentBox does same day order shipping, 30 days money back guarantee, 1 year warranty and has a great support in case you need any help with your box. You can even find their local shops. The DroidBox T8-S plus V2 is a magnificent product, which comes with a lot of features that will take watching TV to a completely new level. Finally, you will be able to catch up with your much-loved TV series and make a reputable movie collection and store it on this device as it features a 32GB store + SD Storage + HDD bay for an extra HDD disk up to 2TB. This Streaming TV Box looks very stylish, has a user-friendly interface, and comes preinstalled with all of the essential applications that you might need such as (Kodi, YouTube, FilmOn, DroidBOX Share, DroidBOX Control Centre, Quick support, Office Suite, and much more). As far as the design is concerned, this device looks elegant, thanks to its convenient size and a front LCD display. Each time you turn this streaming box ON, you will be able to select between Android 6.0 Marshmallow & LibreELEC operating systems. The Android OS will let you know to your favourite Android Apps, while LibreELEC only opens Kodi but with an excellent performance as there wont be no external apps or OS consuming resources. Furthermore, DroidBox T8-S plus supports 4K UHD 3840 x 2160 Video Playback, and comes with a plenty of memory to store your favourite media files. With these two apps by your side, you will easily keep your device updated and you will also be able to share the content from your tablet or a mobile phone. What’s more, DroidBox Share allows for screen sharing and mirroring app launching and even mouse pointer control. Best of all, it allows you to hook up your camera from your phone. Thanks to dual bands, you won’t have a weak internet signal, since dual bands offer you the chance to connect both to 5 GHz and 2.4 GHz. From now on, you can enjoy smooth and uninterrupted internet connection. Plus, the device comes with extremely fast Wi-Fi – 802.11ac. 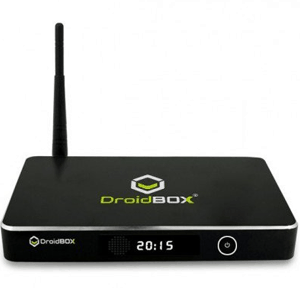 The DroidBOX T8-S Android TV Box is available to buy at their online store – DroidBOX website. They do DHL Express Deliveries from UK to any country in the world and the payments can be made securely using their Magento payment system or Amazon Pay. DroidBOX does same day order shipping, 30 days money back guarantee, 1 year warranty and has a great support app in case you need to talk with the technical support. 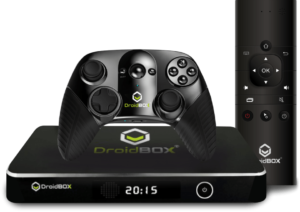 EBox Q box is one of the best value Android TV box in the market. Click to read the Full Review. It has a powerful processor and is powered by Android 6.1 Marshmallow OS, therefore this a very tiny device (palm size), can handle all of the tasks efficiently. Whether you want to watch best-rated movies, play games with your friends, or simply get lost in your favourite music, with the EBox Q box you can have it all. It comes preloaded with a plenty of apps so that you can enjoy the benefits of this little device right out of the box. Moreover, it supports 4K Video Playback, 3D Video Playback, and HD Video Playback allowing you to have fun and enjoy movies, games, and videos like never before. If you’re looking to buy a good Android TV box that performs well, can fit in your pocket and comes at a great price, we highly recommend you getting one of these powerful little guys. Thanks to a strong Quad-core Amlogic S905x Quad Core 64 bit Cortex – A53 processor, Android 6.1 Marshmallow OS, high-quality graphic processor, and 2GB RAM it’s pretty clear why this device performes well, making every operation fluid. Moreover, the processor can run a couple of operations at the same time, making your experience smooth. With this little device, you can download a plenty of apps from the Google Play Store, you can watch Netflix, Amazon Prime and etc., and you can also catch up on all the episodes of your favourite TV series that you haven’t had time to watch. For the price you wouldn’t expect a 16GB internal memory and an expandable memory up to 32GB. 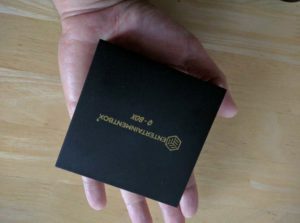 This tiny device can store your favourite music, videos or movie collections, and have quick access to them. This means that you can enjoy these collections anytime because they will be only a couple of clicks away. Thanks to a simple look, a home screen, and a second screen, finding the apps you need will be a breeze. This is especially important if you’re using the TV box for the first time since it will certainly make its use a whole lot easier. EBMC it’s a special version of Kodi, optimized for the best Android performance. That will give you all the Kodi functionality including the possibility to stream movies or live TV with ease. The Ebox Q-Box Android TV Box is only available to buy in the EntertainmentBox website. They deliver from UK and US to any country in the world and the payments can be made through the safest payment method: Paypal. If you are looking for an Android TV box that is strong and fast enough to stream content and play Android games, the above reviewed boxes won’t disappoint. They are flexible enough to offer root access and users looking for media playback and video conferencing will find either of them to be a great fit. 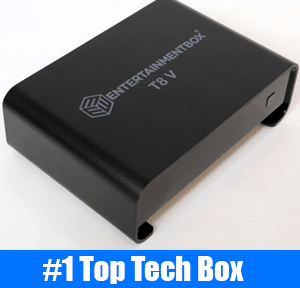 If you’re looking a high-quality Android TV box that performs terrific, then you just can’t go wrong with the EBox T8 V. This box features very powerful hardware and a really nice design with metal body. If you’re concerned about storage, performance and software, the DroidBOX T8-S has everything to you need and you’ll love the Dual-Boot system and the DroidBOX Share app! 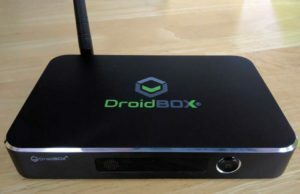 For those of you who are looking an Android TV Box that performs well, but it is very affordable, then the EBox Q-Box might be just what you need. Whichever model you opt for, rest assured that you will be making a smart investment, since they provide good value for the money. Note: These are legal box sellers based in UK and they deliver worldwide.